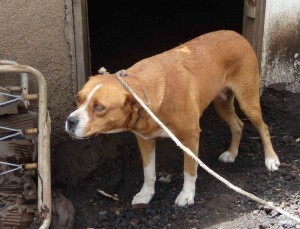 Animals are generally not well treated in Guatemala. They are usually regarded as something which serves a purpose – as food, or as a source of work, such as carrying loads, or guarding the house. Guatemala is a poor country, and conditions are tough and life difficult for many people. 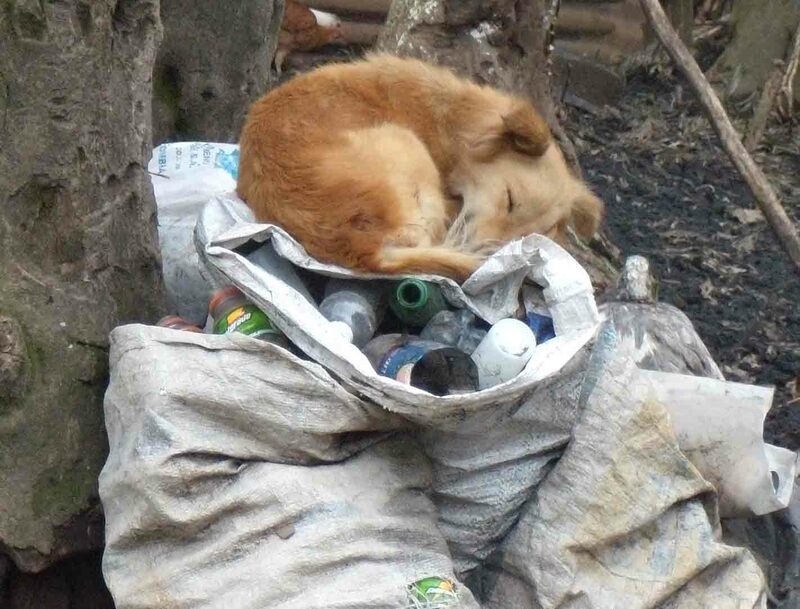 Poverty combined with a non-benevolent attitude towards animals makes for a largely unhealthy situation, for domestic animals, and for animals in general. Nests are robbed to sell baby parrots, macaws, toucans or monkeys in the market, or on the street to tourists. Birds and small mammals such as squirrels are systematically hunted either for food or for sport – or to destroy what is perceived to be a competitor for scant resources. Horses and mules are required to carry disproportionate loads – as, indeed, are many humans – whilst being given an inadequate diet and inappropriate treatment. When an animal can no longer work, or becomes sick or is injured, it will simply be abandoned. The plight of animals in Guatemala is not so much a question of cruelty, but one of neglect and lack of understanding. Veterinary care is often unavailable or too expensive. It is easier to abandon a sick animal than to attempt to cure it. 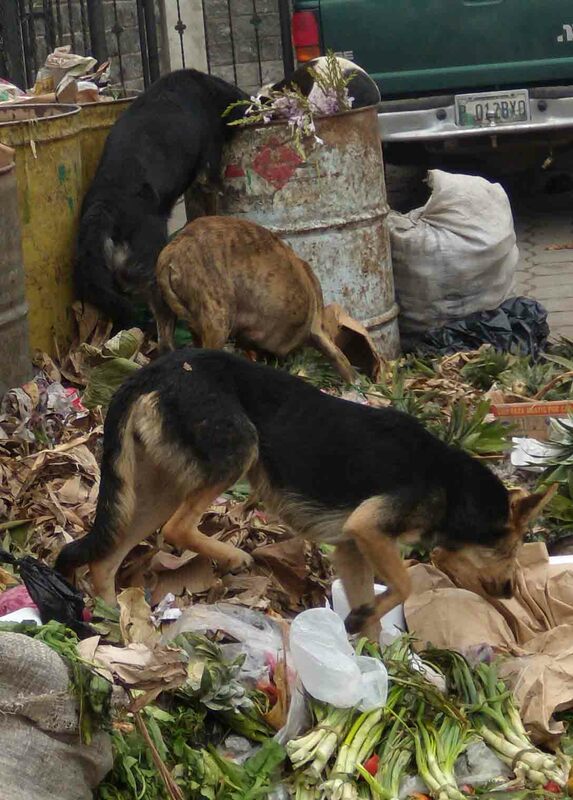 The solution of municipal authorities to what is perceived as the ‘Rabies Problem’ is the indiscriminate distribution of meat poisoned with strychnine, killing in unnecessary agony animals infected or not, homeless or not. This is often put into effect just before public holidays – for example, Easter Week, in the hope that tourists will not be offended by the sight of the street dogs and take away a negative image of Guatemala. The street dog problem is acute, and heartbreaking – and could be relieved by regular, low-cost spay/neuter clinics. It is not easy to ignore the sight of an almost hairless dog, ribs protruding, scavenging for food at the roadside with its last reserves of strength and the light of desperation in its eye, teats so distended after so many litters as almost to touch the ground, knowing that it can scarcely feed itself, let alone the puppies, who will surely die – possibly becoming victims of childish cruelty beforehand. It is sad to see the behaviour of children towards these street animals. A four-year-old child swinging a kick at a hungry dog, who cringes away from what it has learned is the human menace. 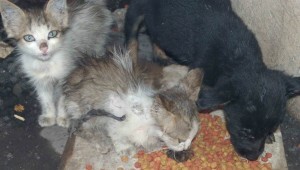 AWARE has rescued kittens who were being thrown, by a teenager, to provide entertainment and eventually food for his dog. People view domestic animals with a great deal of nonchalance and a terrible lack of fore-thought. They are often regarded as a status symbol rather than a pet – to be abandoned once the novelty wears off, or as the fashion changes. A young couple will get themselves a puppy or kitten – and then abandon it when the wife becomes pregnant. Someone living in a large house with a garden will be able to provide a good home for a dog – until they move to an apartment in the city, when they will have no qualms about leaving their faithful companion to the mercy of the street. There is a systematic lack of education about the welfare of animals and their proper care. The standard food for the family dog is tortillas – not surprising when the family may very well not have much else with which to feed themselves, but carrying a risk of fatality (from a mould which can infect maize flour) for the dog, not to mention low nutritional value. Thanks to endemic crime, the family dog is often no more than a guardian, and as such left tied to a 1-metre piece of rope throughout its life, living and sleeping in its own excrement, often on a concrete terrace in constant exposure to the sun and rain. Things are beginning to change. More and more people come to AWARE to adopt a pet, rather than merely to acquire a dog. There are now ‘poodle parlours’, and stores selling accessories and fashionable outfits for the family pet in many towns throughout the country. The spay/neuter word is spreading too, and more and more people are booking in their pets for the operation. The number of local volunteers is also growing, as people get to hear about AWARE, and attitudes change (thanks in part to TV shows like Animal Planet). The outlook is good. Meanwhile, the solution to all the animal-related problems in Guatemala is, of course, proper education. This is central to AWARE’s policy and aims, in tandem with spay/neuter clinics and the promotion of spay/neuter awareness. 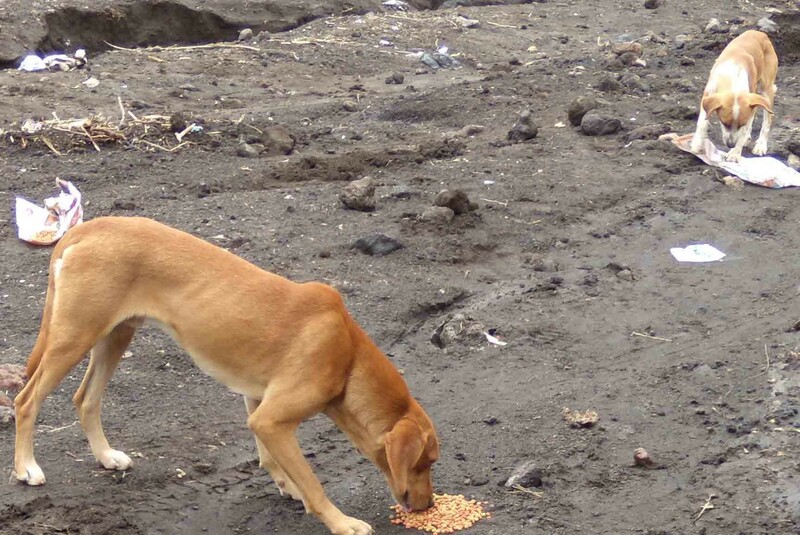 The suffering of animals in Guatemala can be relieved, with the consequent improvement to the overall quality of life of the human population. What is required is a good example for people to follow, and appropriate and effective education of children. With time, those street dogs and roof cats could disappear – because they will all have been taken in by loving and caring homes where they will be responsibly and lovingly treated as pets for life.